Eunice is a full service apparel manufacturer with over 25 years of experience. They are known to provide service for the world’s most recognizable apparel brands and is recognized as one of the top manufacturers in the garment business. Eunice has never had a website before and wanted to build their online presence. The company needed their website to showcase their business locations and offer their clients a way to contact them. Their goal was to have a simple and navigational website. 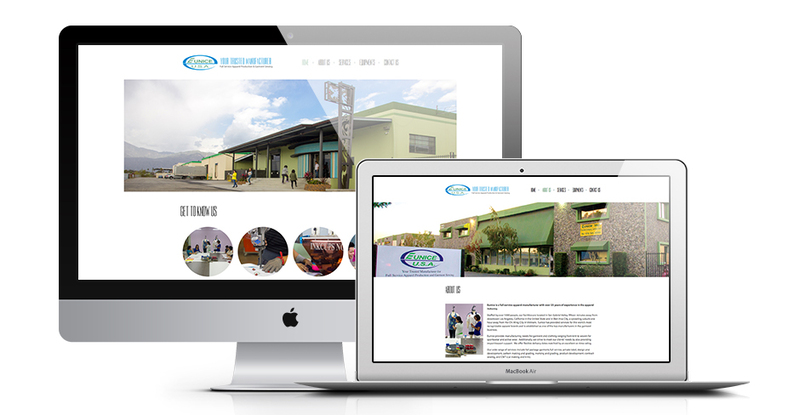 Our designers created a website that showcased their business facilities and location. The team utilized their photos per request of our client. The final website encompasses skinny fonts and is both clean and simple, so customers can easily navigate it.